Shows readers how "soul intimacy" can be cultivated through letter writing, conversations, sexuality, jealousy, boredom, and endings, and how the soul is enriched through the tribulations of life. With more than 200,000 hardcover copies sold, this companion volume to "Care of the Soul" offers more of Thomas Moore's inspiring wisdom and empathy as it expands on his ideas about life, love, and the mysteries of human relationships. In "Care of the Soul," Thomas Moore explored the importance of nurturing the soul and struck a chord nationwide -- the book became a long-term bestseller, topping charts across the country and selling 550,000 copies in hardcover and paperback combined. Building on that book's wisdom, "Soul Mates, " already a hardcover bestseller, explores how relationships of all kinds enhance our lives and fulfill the needs of our souls. 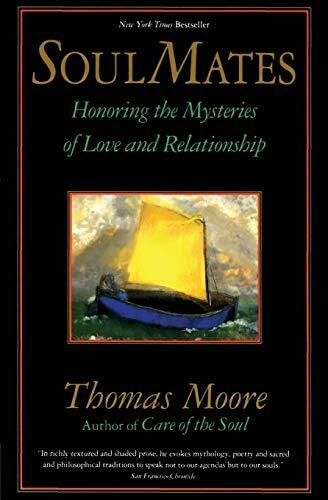 Moore emphasizes the difficulties that inevitably accompany many relationships and focuses on the need to work through these differences in order to experience the deep reward that comes with intimacy and unconfined love.